My last post was from the beginning of January. Then I blinked, and we’re already halfway through April. Also, during that blink, I took a trip with my husband to Alaska, visited family in Michigan over Spring Break, taught about 58 social skills lessons, administered two STAAR tests, wrote about 20 progress reports, attended 41 meetings, one field trip, and one kindergarten rodeo. Things have definitely been busy. The Alaska trip was amazing. I missed my students, but my sub was really wonderful and took care of things at school extremely well. We spent most of the trip in Juneau, which is where my husband was tuning pianos. It was breathtakingly beautiful.We got lots of snow and were surrounded by ocean and mountains. One of the highlights was when I unexpectedly saw a family of killer whales jumping and breaching in the water while I was spending some quiet time on the beach. Then below the dock where I was standing a pair of otter heads poked out of the water, and a bald eagle flew over the whales. It was kind of an overwhelming amount of nature all at once. Alaskans are really spoiled. Except in Juneau they don’t have a Target. So, I guess that’s one thing we’ve got going for us here. By the way, when I said I was spending some quiet time on the beach, I was wearing layers and layers of clothing, jackets, mittens, hoods, hat, cowl, gloves, mittens, boots, and a snow skirt. It was cold, but I loved it! We spent a few lessons reviewing whole body listening. We have a mantra that we chant with corresponding signals that we learned from The Biscotti Kid. Eyes watch, ears listen, voice quiet, body calm. We read a book about children who went to the zoo together and took turns taking the group to visit their favorite animals. At each stop, the book shows the children not listening with their whole bodies and the impact that has on the animals and other children. Then the children notice what they’re doing and start listening with their whole bodies. It’s amazing how much my students soaked up this message like little sponges. I’ll often hear them say to one another “Uh oh! You’re not listening with your whole body.” After whole body listening, we moved on to a topic that I’ve had a lot of teachers request I go over. Using a tissue to clean your nose. We watched a video demonstration and read this social story multiple times. Then we practiced, practiced, practiced. It brought a strange pleasure to my heart when one of my kinder friends suddenly announced to me in the middle of his classroom, “I need a tissue!” and ran over to take care of his business. Feel free to print the story for use at home. Our most recent topic has been emotions and feelings. We’re learning the vocabulary of different emotions and how to recognize and name them. This is such an important skill, and I’ve been really impressed by how quickly the students have picked it up. A couple of students make a point to tell me regularly how they’re feeling, “I’m feeling happy!” “I’m feeling sad.” Our next steps are to recognize those emotions in others and what to do with that information (next steps for moving past the hard feelings). Here’s another social story we’ve started using to help in that process. In this group, we’ve continued to explore topics around emotions, especially anger, and learning about tools and strategies for coping with those feelings. Then we carried this into poisonous and antidote thoughts, as well as learning about the Zones of Regulation (see summary of “2nd & 3rd grade” to learn more). I can’t believe there are only 6 weeks left of this school year! It always flies by so quickly. People keep asking me if I’m ready for summer, and I’ll be honest, there’s a part of me that is. But most of me is looking at everything there is still left to do and learn this year, and that’s where my focus and energy need to be. So, those summer “flim-flam” thoughts will just have to wait. Welcome to 2018! It’s a new year and like many people, I like to start the new year by reflecting on the past and planning where I can make some changes and try some new things out. One new thing I thought I’d try was posting news on this blog instead of the newsletter format I was previously using. In all honesty, I was partially forced into this change. I ran out of free newsletter credits on the website that was hosting my newsletters, and rather than investing in one of their plans, I thought I’d be better off using the blog that I already started and subscribe to on an annual basis. So, I’m dusting it off and turning it into something new. If you explore this blog past this post, you’ll notice a few things. I haven’t updated it in about 3 years. What can I say? Teachers are busy people, and I found it was a bit more than I could keep up with at that time. 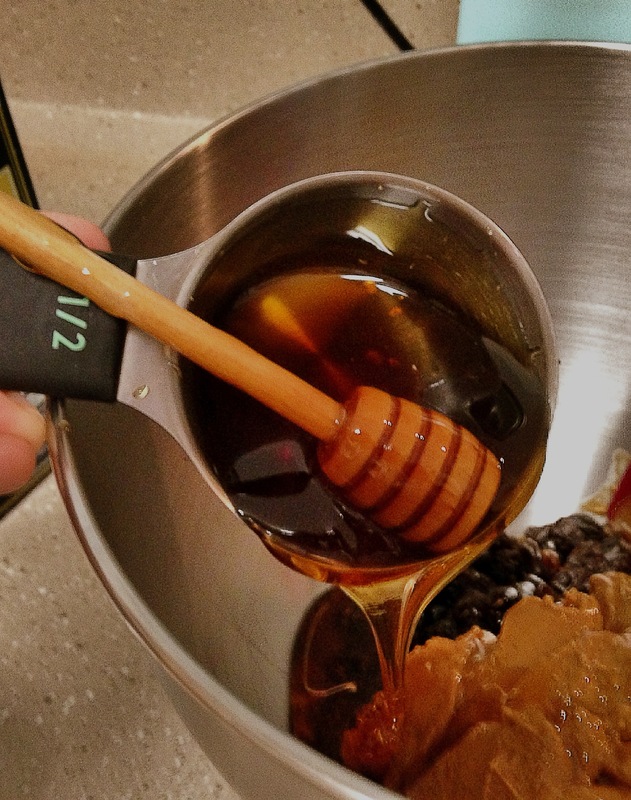 Previous posts are mostly focused on the subject of writing with a random recipe thrown in. Prior to my current role as the Social Communications Supports Services (SCSS) teacher (a job title that no one in my family can remember) for my elementary school, I taught 4th grade writing/reading/social studies. Before that I taught 5th grade writing/reading/social studies, and before that I taught 2nd grade everything (but that predates this blog). As for the recipe, that was mostly just for fun. I have a secret ambition to have a baking blog, and I may have been indulging in that fantasy a bit at the time of that posting. My goals in repurposing this blog is to create a place to share the learning and growth happening for my students with their families and communicate relevant information regarding the supports and instruction I provide. I hope that you find it helpful and informative. We’ve continued our learning using The Incredible Flexible You book series. Our most recent topics have included thinking with your eyes and body in the group. With thinking with your eyes we talk about how tuning in to where someone is looking gives us important clues about what that person is thinking, as well. We introduced this concept in the form of story where the familiar characters in the story explore space and encounter some extra terrestrials. The children in the story cannot communicate with the aliens verbally, since they do not speak the same language, but by following their eyes, they are able to understand what the aliens want. We further engaged with this idea through games and dramatic play. We talked about how “our eyes are like arrows” and point to what we’re thinking about. This concept is not only important socially for conversational or relationship skills but also relevant academically, as students start to learn that part of tuning into learning and instruction involves using their eyes to see and observe. With body in the group we notice what makes a group (2 or more objects, animals, or people in close proximity) and when someone or something is “out of the group,” another concept which is extremely relevant in social and academic contexts. Our eyes are like arrows. Our overall theme continues to be learning to be a flexible thinker. Delving into this topic more has led us into the area of problem-solving. We’ve work on brainstorming multiple solutions to a problem, coming up with pros and cons, evaluating the best solution, and reflecting on the possible outcomes. Pushing the students to think of as many solutions as possible (we came up with 9 possible solutions to the problem of getting stuck on a difficult assignment) helps them to move beyond the perceived “right” and “wrong” choices that often lead to frustration or a sense of a lack of control. As a teacher, it helps me to remember that my role is not to swoop in and solve every problem for my students. Plus, my solution may not always be the only right one (yes, I’m learning flexible thinking myself). Along with problem-solving, we did some role playing around negotiating compromises between peers and child-adult interactions. One motto we learned was “Accept no and go with the flow,” where students learned a process for accepting a situation that is not going their way and that by remaining calm and respectful, they gain the favor of the other person and a possible opportunity to get what they want at another time or something else that is desirable vs. engaging in a conflict that leaves both parties with bad feelings. I was impressed with how well the students absorbed this strategy and even came up with real-world situations where they had already tried it at our follow-up lesson. Here’s a link to Accept No & Go With the Flow. Our focus lately has been on emotions and feelings and how those affect our bodies. The goal is to help students be more in-tune and notice when feelings like anger come up so they can redirect it in healthy ways. We’ve discussed ways to relax and focus on people, places, or things that make us happy. One enlightening activity we did was an anger rating scale. The students (and I) each had our own sheets of 26 different situations and a place to rate our anger reaction to the statement. We gave each situation a rating from 1-10 on how angry it makes us feel, and we engaged in time to share. I personally found it very helpful for my own self-awareness but also recognizing what types of situations trigger the students and how I might use that information to both prepare them for future situations and also advocate for them with their classroom teachers. Here’s a link to the statements, which I found in the book Exploring Feelings by Dr. Tony Attwood. I was minding my own business when all of a sudden, “we are here.” It all happened at Plymouth rock, and some ship called Mayflower. I almost gobbled myself! So, these people that got off the ship were wearing fancy hats with buckles. Well, they were walking, so I followed. They were rich and snobby and couldn’t do anything with their hands, like hunting. All of a sudden, a boy comes up to me and yells “boo turkey.” We played for awhile, and I said “I’m tired.” Before he could scream, I covered his mouth with my feathers. “I’m gonna tell everyone I found a talking turkey!” said the boy. “No, you can’t. This is a secret, got it?” I said. “Understood,” he said sadly. So, the next day, my friend explained to me that they were walking and found Indians! So me, the smart turkey, told him that he should ask the Indians for help on stuff like hunting. They ended up getting along. The Indians taught them how to grow corn and use wild plants as medicine. Since they were getting along so well, someone had the idea to have a feast, and they wanted turkey! The boy told me to run, so I did. There was good news and bad news. The bad news was they ate my friend Charlie. Why him, they should of took me!!! The good news was that they had such a good time, they made it a tradition. The fancy people would help the Indians find food, and they would give thanks for the help they had. Well, I better run. It’s close to Thanksgiving, and they need turkey. “There’s one!” Ahhhh! This story that I wrote is about the amazing English hero Sir Francis Drake. Blah blah blah. He was wonderful, but what everyone should know is that he was a pathetic wimp scared by his own shadow. It was I, Francis the Vest, who showed him the ways of a brave man, but he still treated me like dirt! On our voyage around the world, whenever an enemy ship came our way, I went commando mode and we took it with all of its loot. And what did dirty Drake do? He repeated my orders and got all the glory. After we got back, there was a beautiful parade with a nasty puddle that dirty Drake put me onto for the stupid queen. Then Francis got knighted, thanks to me, and insisted that I call him Sir. That was the last straw. So, I told him to never wear me again. He said, “fine,” and went on a second voyage alone, and I never saw dirty Drake again. It was a warm sunny day in Hawaii. Just another normal day for me, Hannah the cat. I strode into the entrance of one military building, where my owner was staying, and made my way into the mess hall. I jumped onto a table, where I was closest, to get a good view of the mess hall. I looked around slowly trying to look for Zachary, my owner. “Hmmm…where could he be?” I mumbled to myself. I jumped down and went to a farther table and found Zachary sitting there. “Hey, Hannah! Ready for breakfast?” He asked me. I nodded quickly, and he put fresh fish on the side of his plate, and I started eating. Suddenly, I stopped and my ear perked up. Zachary looked at me and asked, “What’s wrong? Aren’t you going to eat?” He stroked my back. “Planes,” I said. Zachary looked confused. “Planes. They’re minutes away. Something bad is gonna happen!” I said, my fur bristling.” Oh, don’t worry about it! It’s probably your hearing again. After all, you are getting old,” he reassured me. “Excuse me? Did you just call me old?” I said with a mean tone. “Err…that’s not what–um…never mind,” he said. I was created by Jackie’s dad in the year of 1925 on Jackie Robinson’s birthday. I was the birthday present in the year of 1925. Plus, I was his only present he got. I never knew that Jackie was such into baseball, because once he picked me up he wouldn’t let me go. He did everything with me. He would sleep with me, play with me, and yet go to the bathroom with me, and that’s when I had enough. “Stop!” I screamed. The poor fella screamed his heart out. He kicked the door and broke the window just to escape. “It’s okay, Jackie. It’s just me, your bat.” He calmed down a little bit but still was shocked. “Wait a second. You talk?” “Of course, I talk. how do you think I’m talking right now?” “I thought I was dreaming.” “You thought you were dreaming in a bathroom?” We started talking for a few seconds, and then he made a deal with me to never tell anyone about me and never again bring me to the bathroom. A couple of years passed, and Jackie was going to leave college. Jackie and I were both happy, because we joined a national baseball team called the Brooklyn Dodgers. We both thought we would have a good time, because we were moving someplace new. I guess the good time Jack and I hoped for ended out horrible. People were being so mean to him only because he was a different color than they were, but I helped Jackie from quitting and to be strong. When he was up to bat, I told him when to swing. But it didn’t go as planned. Jackie swinged and missed. “Strike,” the umpire yelled. “Focus, Jackie, and listen to me.” “Okay.” The pitcher threw the ball. “Swing, Jackie, swing.” “Strike!” “I told you to swing, Jackie.” “I know.” The pitcher threw the ball. “Swing, Jackie!” Crack! The ball flew out of the stadium. Therefore, Jackie listened to me since. Even though we got struck out a few times didn’t mean we were going to quit. Jackie became the first black person to ever play baseball, plus with me on his side he hit more homeruns than anyone that year. Jackie became the most valuable player for the Brooklyn Dodgers. The Pirate game was the most important game, because if he hit a homerun it will be a new record. “Ok, Jackie, get ready.” “Ok, it’s all you.” The pitcher threw the ball. “Swing, Jackie.” Crack! It was a record, but when he looked down to say thanks, I was in half. Jackie started to cry and ran back into the dugout and drove home. He stayed inside for years, then came out. But then Jackie died of old age on October 24, 1972, but it was the most happiest day of my life because I get to see my buddy again and this time we can’t be separated. “I am not saying that everyone is Shakespeare, but I am saying everyone has a genuine voice that can express his or her life with honest dignity and detail” (Natalie Goldberg, Writing Down the Bones). As I read through the stack of narratives turned in yesterday, I was struck by the differences. Here we have stories from the lives of children, who at face value are all very similar. They are all around 10 years old. They all live in the same city. They know the same TV shows and movies, play the same games, know the same songs. Yet, their stories are so unique. In so many of them, you can already see the individual stories unfolding. It looks like we are accomplishing our main purposes for Writer’s Workshop: To find our voice and tell our stories. Below is a sampling of those stories. Some were volunteered by students. Some weren’t but were just too good not to share. Hopefully, their authors will take this as a compliment and forgive me. Thank you for stopping by. Please leave your compliments and comments, and I will be sure to share them with the authors. Also, to protect student privacy, they all chose nicknames as identifications. So, please ask your child their nickname to find out which piece belongs to him or her. The vipers were 7-0. [The] hippos 6-1. The vipers and us had a lot of bad blood, because they had injured one of our best players They were also our divisional rivals.This [game] also decided who went to the playoffs.Earlier that day, the coach had messed around with our depth chart. So, I was anxious to see what position I was playing. When I got to football camp, all of my team was staring at me, sitting around the depth chart like a campfire on a cold night. McCoy bumped into me, finally breaking the silence. “Are you sure you can handle this?” “Handle what?” I questioned. ”Dude, you’re a slot receiver,” he answered. “YES!” I jumped up. “Nohoho!” he blurted out. “Jace is going to kill you!” he said. Jace was one of the strongest and scariest players on my team. The blood going to my heart stopped dead in its tracks. “Oh God, Jace is back up,” I said. Oh no, I thought, but after a few seconds, he did not show up. So, the game began. I was set up to return the kick. When I caught the kick, I got dropped at the thirty. Couch Grifian took me out for almost all the game, because he thought I was injured. He put me in with 30 seconds left, but I played like there was 1. I caught 3 deep catches and 2 tds. It was 36-29. I walked on to the side line and turned around. We had the ball and had recovered an onside kick. So, I hopped onto the field and just went deep. They threw the ball to me.The ball was way over my head, so I jumped up and hoped for a catch. I heard a pop noise and looked [down]. There was a long brown football in my hands. So, I ran for the end-zone.The safety dove and missed. So, I walked into the end-zone. We had won 37 -36. I have played for two years. Played what? Piano. During late July, this year, my piano teacher asked me if I would like to participate in a (pre)-recital/ entertainment performance for a retirement home . My parents said I should do it. I picked two songs to play: “Fandango” and “I Just Can’t Wait to be King.” When we got there, it smelled weird (but that doesn’t matter). There were eleven performers. I was the seventh one. Most people played the piano, but some sang and one girl played the violin. When I started I was not nervous. This happens every time I play for someone or a crowd. But, it just so happens that when I do play, my hands get sweaty. They stuck to the keys a little bit. Once everyone was finished, my mom and I headed toward the door. We kept stopping, because several people were complimenting me and saying that I played the best. Every time somebody did this, I would feel shiverish . But in my head, I knew that people should hear music to feel calm and happy. I feel like I have shared something that I love with other people. That’s what music is to me. “Do I need to?” I asked in fear. One of my most biggest fears of all is swimming in the ocean. No, not like swimming in the short end. It’s another step ahead, going past the sandbar. I was shaking like a blender, when Brian said “My boat is past the sandbar. “Ahh! Something is biting my foot!”I screamed in fear. My cousin looked at me like I was brainless. “It’s a fish” my cousin said in a dumb voice. Once I got to the sandbar and saw the ocean, I thought I was going to faint. I looked out to see how far the boat was, but all I saw was blue, until Brian picked me up and put me on the boat.Tears of joy ran down my eyes. Once everyone was on board, I asked “How far are we going?” Brian looked at me and said in a pirate voice, “We are going to a clear spot in the ocean so we can fish.” Now we are going to a clear spot in the ocean so we can fish, just great, I thought sarcastically. It was very bumpy on the way there. I guess I got good luck or something, because on the way we saw dolphins that were jumping, while stingrays were racing us and manatees were swimming free. Once we got there, it was like looking into a clear pool without water. We could see all the way to the bottom. “Here we are. Clear lagoon,” Brian said, again in a pirate voice. I was happy about what I saw. There were huge fish and more manatees. When I was there I learned a lesson. You shouldn’t have a fear of something bad happening when there are so many good things happening. #Kermee And Mr. Krabbs’ First Moment With Me! “Oooh, Sarah, Sarah, come see, come see,” yelled my best friend Barbara-Hope from the other side of the store. She was standing next to some type of tub across from a bunch of colorful cages. I looked at the giant sign above the giant tub and read: Hermit Crabs for $6.99 each. I walked to the tub with the items I had picked out for purchase in my hand. I had $30.00 to spend in Corpus Christi / Port Aransas on a vacation with my best friend Barbara-Hope and her parents (with no sister). I looked inside the tub and saw dozens of shells, and one of them was moving. I looked around and saw a lady watching the hermit crabs like a hawk. I tapped her shoulder to ask her how much the kit would be, if I got it, but I was interrupted by Barbara-Hope. “Hey lady, can I buy a crab?” Barbara said a little bit too loudly. “Um, (sniff) sure?” said the hawk lady. “Um, excuse me,” I said, “How much money would it be to buy a whole kit?” “Um, I would say for one hermit crab, it would be $20.00,” the hawk lady said. “What about two?” I exclaimed. “Approximately, hmm, $35.00,” the hawk lady said. Then Barbara jumped into our conversation and said, “My daddy can pay the extra $5.00.” I said, “Okay, I guess I’ll buy two then.” I started browsing for two hermit crabs. I spotted a blue crab with a black and white whale on it (the one that I had spotted moving earlier). I said I wanted that one. Next I saw a colorful, sparkly crab with shells all over it. I told the lady those two were the crabs I wanted. We browsed for cages, food, and shells next. I saw a lime green hermit crab cage that could hold two crabs, and it said it came with everything you need to take care of hermit crabs except for a sponge (for water), and their exchange shells. So I got the cage, the crabs, the sponge, and their exchange shells. The lady gave me a laminated sheet of paper with directions on it. Barbara-Hope and I stood in the line with our crabs with Mr. Richard (Barbara’s dad) behind us. I gave the cashier my money, and Mr. Richard gave all the extra money to him. Then we went outside to organize everything and try to brainstorm for our crabs’ names. Barbara named her crabs Teddy C. and Becky G. I decided to call my hermit crabs Mr. Krabbs and #Kermee. Then we got in the truck and drove to the beach with our crabs. Let me tell you a few things about my favorite furry friends! I got my dogs between 2010 and 2011. My dogs are just the cutest furry friends. When you throw the ball for Coco, she sprints to go fetch the tennis ball. Sprite, on the other hand, just kinda sits there and does nothing. Sometimes he chases after the ball, but sometimes not so much. Coco always plays with you. She will come back towards you with the ball in her mouth, but she won’t give it to you. She will run away from you, if you try take the ball away from her. She is very playful, and she gets hyper when you walk through the door. She will jump on you too. When you walk through the door, she will jump on you for no reason. Sprite and Coco are both very cute and funny, and they both love to nap. Sprite is very lazy, and all he likes to do is lay on my bed and sleep. So what I have to do is say “do you want to go for a walk?” He gets very excited. He starts running around the house and jumps all over you, it’s crazy. He loves to go for walks, he just loves it. He wants to go everywhere. When we come home, he is very very tired. He drinks some water, then lays down. Have you ever been to the beautiful island of Cozumel? First, I rushed off the plane with my family. We heard people yelling “WELCOME TO COZUMEL! HOLA”! It was so crowded behind us, we probably would have regret it if we had not rushed off the plane. My mom, dad, brother, and sister, and I went through the security check and to the taxi. When we got to the hotel, we sat down at a couch. 10 minutes later, they gave us some juice and carried our bags to the rooms. The first thing we did was finally take a nap .Then we went to eat. My sister got something that she did not know what it was. My dad read the label. It was octopus and squid. She said, “This thing taste good.” I thought she was crazy, until I tried it. We got to the room and slept. The next morning, I ran to my mom “MAMA MAMA MAMA, CAN WE GO SWIMMING TODAY?” “We will see,” she replied. “But I really want to go swimming,” I complained. I dragged myself in the bathroom to get dressed. Then we all went to eat breakfast. I was not hungry, so I did not eat at all. Later that day, we went swimming at the beach. The ocean looked like it wanted the people to swim. That was the time I went to Cozumel. I’d been playing for what felt like 30 minutes. I checked the time, and it had been 2 hours of video games. I noticed the fact that I was very tired and hungry. I ignored the fact of food and headed to my room. My house is pretty big, so walking across the house in pure dark is quite scary. I always hear a strange rattle of bells. As I walked, I saw a light and thought, “Burglar!” Then I heard the rattle of bells. Then thought, “GHOST BURGLAR!” I looked around the corner of my hallway and saw my brother and dog. The light was my brother turning on the light and the bells were my dog’s collar. I made sure he couldn’t see me. If [he] did see me, my head would be on a stick. I waited till he went back to his room, so I could make a run for it. As he went to his room my body ached, because of the darkness. So I made a sprint and dive for my room. I made it in and jumped for my bed, scared that he might’ve heard me. I tried to fall asleep, scared and afraid. As my car pulled up on the gravel path, my stomach churned with fear and excitement! Will I fall? Will it run off? These thoughts circled around in my head, as I approached the stables for horseback riding in Arkansas. A slim man showed us to the horses we were going to ride. He gave me and my brother a boost into the saddle. When we were all in the saddle, the instructor, a tall woman, gave a short lecture on how to control your horse. For this I listened with utter care, because this was the first time I had ever rode a horse! When we rode out, I hesitated at the road crossing. Reluctantly, I crossed. After a couple of minutes of riding, we came across a creek bed. “Lean back to help your horse,” called the instructor, from up ahead. It was pretty much smooth riding from there on. When we passed Lake Ouatichta, my mom commented on how clear the lake was. She was right. It was as clear as glass. As we headed back into the forest, I almost got my head taken off by a branch. “Remember how to control your horse,” my dad called, from up ahead. When the trail headed back to the road, I sighed in disappointment. I was enjoying horseback riding. As we arrived back at the stables, the instructor helped us off. I thanked the tall woman, and she took a picture with me and my horse. I thought of the pretty countryside I just witnessed and realized I was going to miss Arkansas. August 29: I walked in the classroom, not knowing anybody. Youngston, Ohio: I got off the bus at 3:10. I was getting hungry. I got inside my house. I went to the fridge and got a yogurt. I started on my homework, because it was due tomorrow. We got homework everyday. It was almost dinnertime. I asked my mom what was for dinner, and she said tacos. I liked tacos, and I was starved. During dinner, my parents said we would be moving to Texas. My parents couldn’t put up with snow and -23F. The drive here was only 2 days. On the first day, we got to Tennessee, but there was a beauty pageant or something, and it was 9pm. People booked their hotels for the next 10 miles and still no hotel. Later: Finally, not the nicest hotel, but okay. We were in Arkansas. In the morning: We started off. Later at 6pm, we made it to Texas, and we were in a nicer hotel. 3 months later: We moved in. I walked in the classroom, not knowing anyone. It was time for gym. I was in a group with all boys. It was lunchtime: I sat down and was sitting by Scott. He was hilarious. I started to talk to him. At recess: I couldn’t find Scott. A kid asked to play tag. Of course, I was the one “it.” They thought just because I was short, I wasn’t fast, but when I tagged everyone, they just left. I think they were surprised. We went inside. Later, the school day was over. My mom was waiting for me, and then we walked home. I felt good and just layed in bed. 3 weeks later: We now are getting homework. They give us all of our homework on Monday and turn it in on Friday. We get lots of it. At lunch: I sat with kids from the other class. 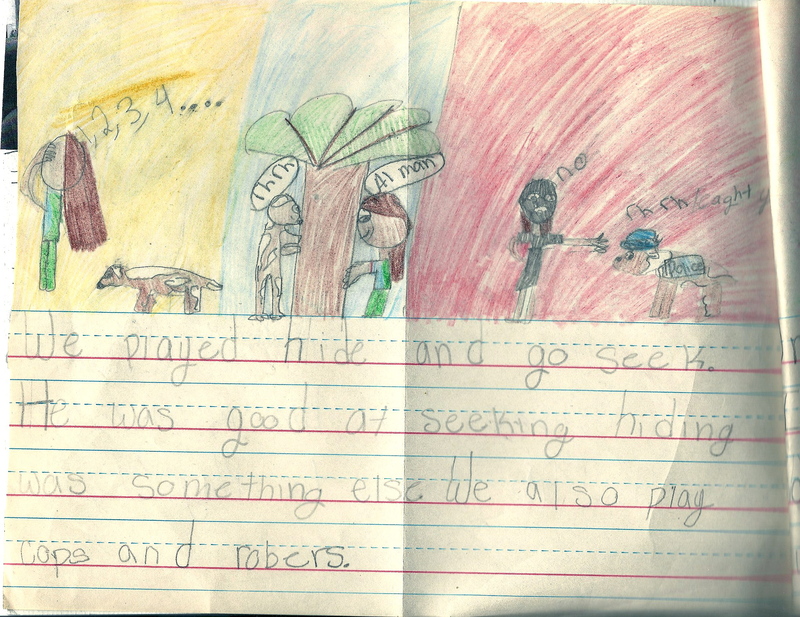 At recess, we played cops and robbers. Someone else was “it!” I continued to play cops and robbers for the next week. I learned all of the other kids’ names that I sit by at lunch. Over the weekend, I usually unpack my stuff. After school, on Monday, I go to a Lego club. The kids there are naughty. Oct. 1: I am currently in language arts and social studies class writing this story. After a long day at daycare, my dad picked me up at the front office. (It was very crowded). Then we picked up my brother Jeremy at his school. After we picked Jeremy up, we went home. (PS: Me and Jeremy always fight over who plays on the X-Box, so my dad [usually] picked who went first, but I guess let us pick that time). It was like a tornado just hit the downstairs living room, because me and Jeremy were screaming very loudly, and I was throwing papers everywhere. Let me explain why. First, my dad carried our little, wooden, brown table to the major, long TV where the X-Box and all the X-Box games are. But the problem is that the green and black X-Box is above the TV. So, after my dad carried the table in front of the TV, then me and Jeremy climbed at the same time. That was a bad idea. (I will tell you why). After we both got up, we started pushing and shoving. The table creaked and groaned under our weight, as we jumped up and down. Then I was so furious, I started to lose my balance, like I lost my balance [temper?] with Jeremy at the moment. Then I fell off the table as fast as a cheetah and landed on my arm. My mom could hear my screaming from a mile away. My mom ran as fast as lightning to me. She was yelling to everybody in the house, “I need my car keys, my wallet! Someone open the car while I carry [her} to the car.” On our way to the ER, I passed out. Nobody noticed until we got there. I was as a scared as a bunny, because my arm hurt, first of all, but I also thought that it would hurt when the doctor put my cast on. I was as tired as a old cat. I was happy, because I got to pick any color cast that I wanted. “Pretty color pink,” I said to my mom. This is what I thought. To my brother, it probably felt that he was grounded for eternity. I was actually happy, because my arm felt better, after I was all done. My arm felt as sore as a bee sting, on my way to the car. After that incident, I learned from my mistake. I once had a dog named Ace. He was a boxer with black, white, and brown hair. We loved to play together. We played hide-and-go-seek. He was good at seeking [and] hiding. [He] was something else. We also play[ed] cops and robbers. One night I spent the night with my grandma. In the morning, my mom came, and right away I knew something was wrong. She had this disappointed look. My mom said, “Ace got out last night by digging a hole under a fence and ran to the Texaco and passed [away]. I cried for like a month. He died so young. He was 3 years old, and I was 5 years old. I will never forget my best friend, Ace. I always knew conferencing with students about their writing was important, but I struggled so much with making it happen when I taught 2nd grade. There was always someone who needed me, and before I knew it, writing time would be over. The few times I was able to concentrate on reading through one student’s rough draft, I would feel overwhelmed by all the errors I saw that demanded the attention of my red pen. It would leave in its wake a bloody trail of strange symbols that likely looked like gibberish to many 2nd graders and probably overwhelmed them to boot. The independence level of the students in 5th grade makes the conferencing time much easier, and I feel like I’m doing a better job at laying a foundation for students to speak the language and understand what we’re looking for when we go about making our writing better. After I read through a student’s goals, I read through his or her piece out loud. I try to limit the amount of editing I do, unless the goal was specifically in regards to capitalization, punctuation, usage, or spelling. I talk with them about their word choices, descriptions, and the order of their stories. I ask them what message they want the reader to take-away from reading the story. I read through the piece a couple of times and take notes in the margins to help them remember our conversation. I encourage them to include their feelings, their thoughts, those details that they speak about freely but didn’t know were important enough to write down. I’ve come to cherish these conversations as one of the best parts of my day. One of the things I’ve missed about 2nd graders is that they are themselves almost all of the time, and talking with them is almost always funny or heartwarming or wonderfully honest. But something happens between 2nd and 5th grade, a self-consciousness creeps in, and it seems like my students are holding back parts of themselves. This is normal, I think, but I sometimes miss the vulnerability. But then I get to see it again in bits and pieces during these writing conferences. From the story of one student, who faced his fear of swimming in the ocean and realized all the wonder it contained…to the student who wrote about when she got her very own phone, which she called “a little block of joy”… to the student who knew that he had overcome a great personal struggle when he jumped off the diving board and gave himself credit, even when the coach didn’t… to the student who shared all the tender moments of his Christmas memories, both happy and sad, I feel like I am getting those honest glimpses at their personalities that I miss. Through these stories, I am watching these children grow up into themselves right before my eyes. It is truly an honor and unique privilege. “What do you think this quotation means?” I asked my students. We’re going to do a 5-minute quick-write, and I’d like you to focus your first thoughts on this quotation. After that, you can move onto writing about whatever comes to the surface of your brain. Remember, the only rule for a quick-write is that your pencil doesn’t stop writing. You may begin.” They moved their pencils furiously. After a few minutes, I saw a boy stop to shake out his hand. We made eye contact, and he quickly resumed his writing. They know the drill. If your hand hurts during the quick-write, you can write “My hand hurts. My hand hurts,” but the writing doesn’t stop. It sounds strict, but I’ve found that most of the students really enjoy it. They like seeing what they can produce in a short period of time. Some even work better under that slight bit of pressure. Plus, I don’t grade them or require them to share. We’re just exercising our writing. When the time ran out, I let those who wanted to share their thoughts. I was pretty impressed by their ideas. Most of the students went on to write about pizza or chicken nuggets, but I thought those first thoughts were pretty impressive. I went on to explain that the quotation came from a book I just finished reading called The Happiness Advantage , in which Harvard psychologist, Shawn Achor, shows that happiness is usually a predecessor to success. And one way he suggests we can increase our happiness and link it to our success is by setting and meeting small manageable goals. I told the kids about the lady in the book who wanted to run a marathon. That was her goal, but she wasn’t even a runner. The author tried to dissuade her from her goal and encouraged her to start with something smaller and more manageable that would eventually lead her to the big goal, but she wouldn’t listen. And ultimately she gave up. This is what often happens to us when we make goals. We think we have to “go big or go home.” And when we can’t do it, we lose our confidence and give up on ourselves. Our campus improvement plan this year involves having all students making goals, planning steps to achieve their goals, and tracking their progress. Not only do we know that students taking ownership of their learning is an important element of success, but making goals is a lifelong skill that will serve students in many areas of their lives. Yet, as an adult, I know that writing goals is often difficult. And not achieving a goal leaves me with feelings of failure and disappointment (though, I know these moments are also opportunities for developing grit. See previous post). How do we help students articulate manageable goals? They need lots of modeling and direction. They need to know where they are and where they need to get to. They need teacher direction and guidance, and they need to know they will be supported along the way. Setting and meeting goals is a great way to build confidence, especially when students have internalized their past failures. Maybe they believe they’re just not good at writing and have essentially given up. My hope is that by making manageable goals, students will develop the belief that they can do anything, just by taking it one page at a time. Yum yums are a delicious, healthy, & easy snack. I’m going to divert a little from classroom learning and news to share a recent observation. In 5th grade, we try to give the kids a little more independence and freedom. One way I do that is by telling them that they can eat their snacks anytime they want during the day. As long as they don’t make a mess, I don’t make a fuss. But lately I’ve started to notice that the kids seem to be eating all day. I don’t really think it’s excessive. They’re all hitting a pretty significant growth spurt. It’s probably natural that they’d be hungry all the time. I just feel sorry for the parents having to supply all the snacks! So, I thought I’d share a simple little recipe for one of my favorite snacks. I don’t have a perpetually hungry 5th grader living in my home, but I do have a husband with a stomach that sometimes seems like a bottomless pit. So, I know a little something about it. First, a little background about this recipe. I got it from my mother-in-law. She’s a professional hoof trimmer. Her daily work is wrestling horses and trimming their feet. And you should see her guns! Yes, I’m talking about her arms. They’re quite impressive. I knew with a demanding job like that, she must expend a lot of energy. When she shared this recipe with me she emphasized that it was 1) super easy 2) healthy with lots of protein 3) easy to pop in her mouth so she can have her hands free to work on the horses & 4) super delicious! I’ve made a batch every week or so ever since, and they are a hit everywhere I share them. This recipe is easy enough for your 5th grader to make it him/herself. There’s no baking or cooking involved, not even a microwave. The version I use does involve peanut butter, so you’ll want to make some substitutions, if you have nut allergies in your home. 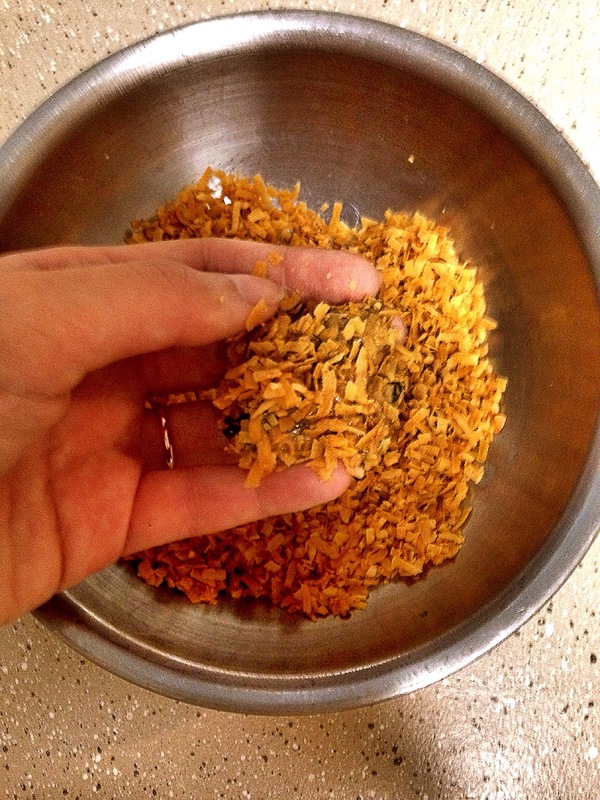 Roll the ball into the shredded coconut to create an outer layer. 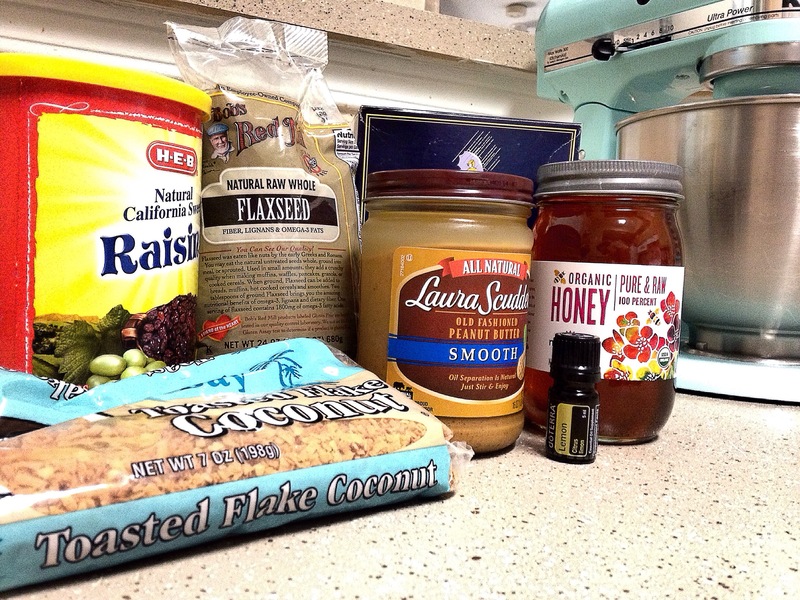 Mix all ingredients together except for ½ cup coconut. 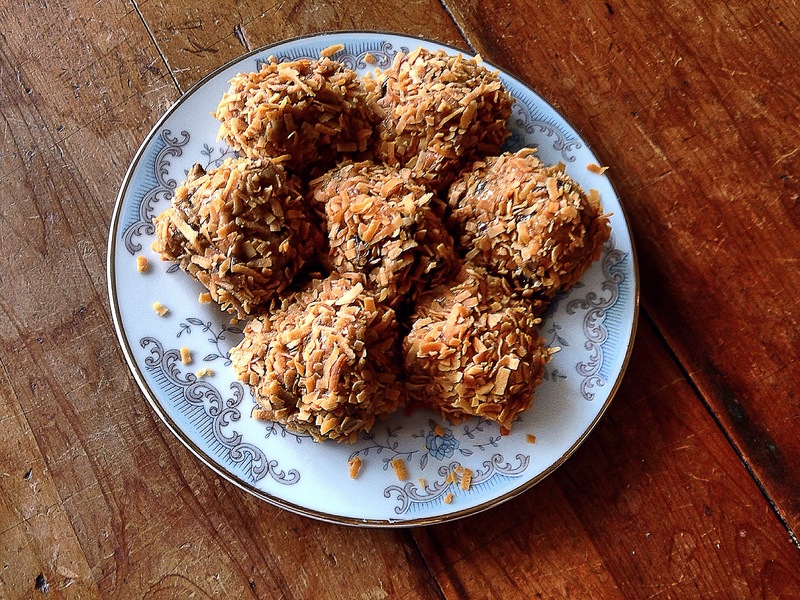 Scoop out 1 Tbs at a time and roll into a ball in the other ½ cup coconut. Do this for the entire mixture. Refrigerate until you’re ready to enjoy. Two is a good serving. Yum Yum! Writer’s Workshop is the time we practice our writing with the purpose of improving communication, telling our stories, and finding our voice. 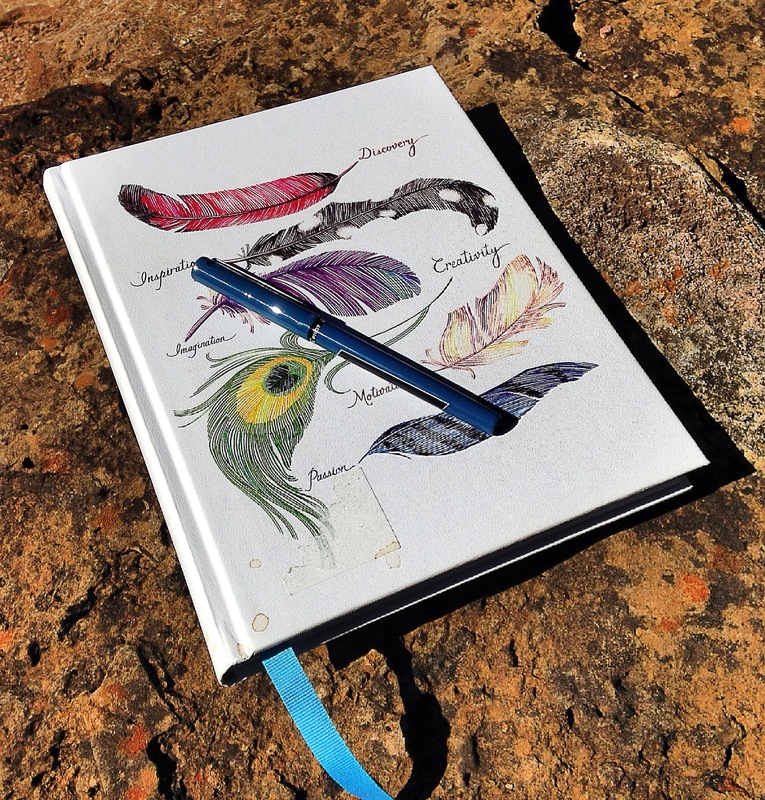 My recovery process to fall back in love with writing took almost 20 years. Actually, to be perfectly honest, I’m probably more at the like-on-my-way-to-love stage of the journey. My relationship with writing took a downhill turn around 6th grade. I was pretty sure my teachers were planning inventive ways to torment us with various book reports and research papers. On top of that, I was a perfectionist. So, I was rarely happy with anything I wrote. Or, on the other hand, I would turn in something that I thought was destined to be honored with the Nobel Prize for Literature and instead receive it back with a failing grade on it…or even worse…a B! Now, I hold those who identify themselves as writers in the highest regard. After all, they invented some of my favorite people. As a teacher of writing, I hope to steer my students in the direction of using writing as a form of self-expression and away from viewing it as a creative instrument of torture. 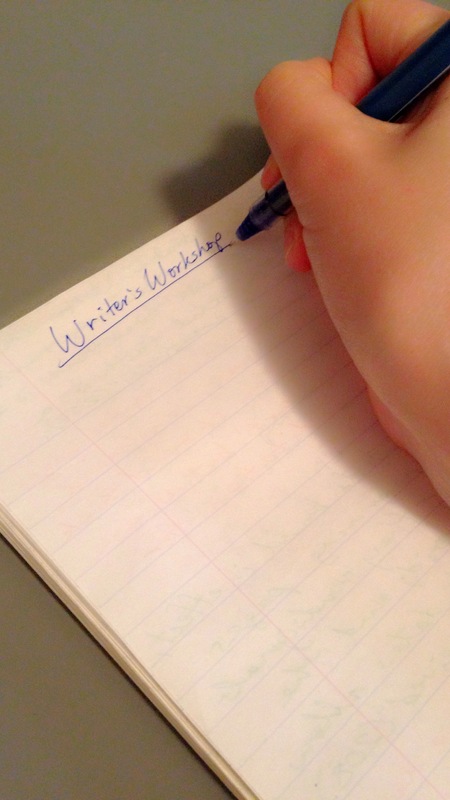 So, for the past couple of weeks, I began introducing Writer’s Workshop. Here are some highlights so far. 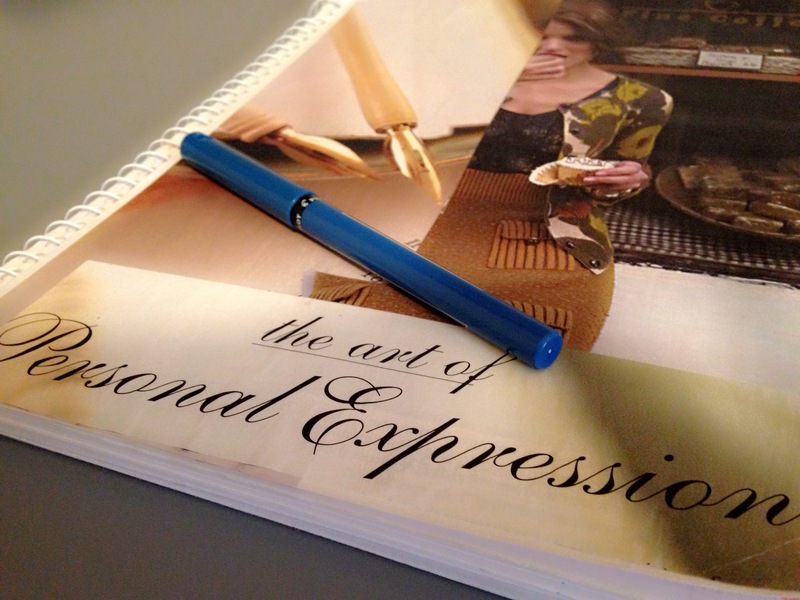 I want students to view writing as a tool for expressing themselves. I began by asking the students “Why do you think we have Writer’s Workshop?” I cringed a little when the main responses were along the lines of “To get better at handwriting” or “To get better at spelling.” (I also don’t totally blame them, as I was guilty myself of lecturing the children about proper penmanship this very week). These children already viewed writing as a mechanical process, devoid of true reason or soul. I wrote this idea down as “To improve.” Then I added a few more of my own, expounding on each, in turn. “To communicate. To practice. To tell our stories. To find our voice.” I told the children that Writer’s Workshop would sometimes be a time for us to practice different kinds of writing (essays, procedural, persuasive, expository), but it would also be a very personal time for them to explore their own creativity and find ways to express themselves through their writing. I told them that each of them has their own unique perspective and story to tell and writing can be their tool for doing so. Writer’s Workshop is a mix of teacher-guided modeling & practicing and self-guided work. We begin with a mini-lesson. The topics of these lessons vary, from grammar & mechanics to gathering ideas & organizing them. The intention of the lesson is to introduce or review a skill that the students can directly apply to the writing they will do on their own that day or that week. We went over the 5-step writing process. 1.pre-writing 2. drafting 3. revising. 4. editing 5. publishing. We will practice these together, but since much of Writer’s Workshop is at each individual’s pace, they will likely be at different steps at different times. One exercise we started with is called a quickwrite. For this exercise, the only rule is that the pen or pencil must be moving and writing for the full time that the timer is going. We started with 5 minutes. 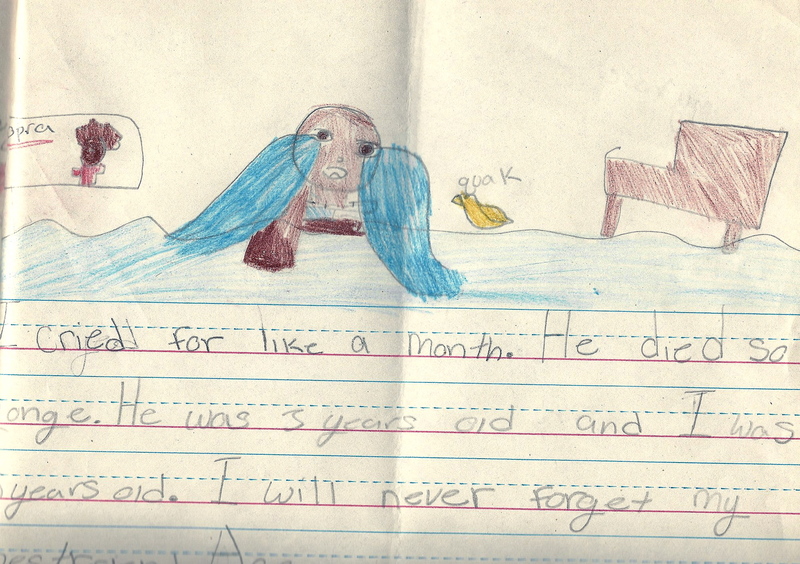 Students could write about anything they wanted. If there were no thoughts flowing, they were instructed to write about that. I have nothing to say. I don’t know what you write. My hand hurts. etc. I expected some tears or whines. Instead, I heard things like “That was the first time I ever had fun writing!” “Can I work on my quickwrite some more?” The only groans I heard were when the timer went off. They wanted to keep going. Eventually, we will practice the skills involved in revising or editing a peer’s work, but for now we are focusing on making writing a very positive experience. I introduced two different ways to share our writing with a partner. The first way is based on Habit #5: Seek First to Understand, Then Be Understood and practices the art of active listening. Partner A reads his or her writing to Partner B. Partner B just listens. Then B mirrors back to A what he/she heard. I explained to the students that this exercise is not about quizzing Partner B on how much he/she can remember. It’s about showing A that we’re listening and validating what A shared with us. I call this type of sharing mirroring, and I’ve also explained to the students that it is a great practice to use in conversation or discussion, as well. The other way we practice sharing is called “A compliment and a comment.” Some teachers call it “A star and a wish.” This is where Partner B listens to Partner A read his/her writing. Then B gives A a specific compliment and a specific comment. We talked about the importance of being specific. We want to be encouraging and positive, even if we’re telling our peers how he/she can improve. I felt validated in this practice when I heard a friend talking about her experience working for Apple recently. She said that one of the principles Apple employees hold high is giving specific and intentional feedback, and they always make sure that the intention is positive. I can already see how practicing this skill now is preparing students for their futures and showing them how to have positive work relationships. I’ve very excited about the start we’ve made with Writer’s Workshop, and there’s so much more I want to do with it. As we get more practice under our belts, I’ll start to share some of the results with you. I already told the students that one option they will have for the publishing stage is posting their writing to this blog. I hope when that happens you will join me in celebrating their accomplishments and giving them specific encouragements to spur them onward in their writing journeys. There is a word going around in education circles these days: grit. Research by Angela Lee Duckworth shows that it’s one of the most important factors in determining success in many contexts, including students’ education. So, what is grit? In her TED Talk, Duckworth describes grit as “passion and perseverance for very long-term goals. Grit is having stamina. Grit is sticking with your future, day-in, day-out. Not just for the week, not just for the month, but for years. And working really hard to make that future a reality.” According to her research, grit is even more important than IQ for success. So, if grit is so important, how do we teach kids to have it? One suggestion Duckworth makes is based on the idea of growth mindset. Many people have the idea that what you’re born with is what you get. They might think some people are just not good at math or sports or whatever. While there’s truth in the idea of natural talent and people having strengths in certain areas, the belief that learning and improvement is not possible just leads to giving up. As students are exposed to the idea that our brains change and grow as we learn and have new experiences, they begin to believe that failure is not permanent. They develop grit. They recognize that difficult does not equal impossible, and they are more willing to try. And the more they try and work hard, the more success they will have. So, how do I want to model this in my classroom? 1) Talk about growth mindset. 2) Talk about mistakes and how we can learn from them. Mistakes are not failures. They are opportunities for learning and future success. 3) Don’t freak out about my mistakes. If I’m too hard on myself, the kids will notice and see that I’m not practicing what I preach. 4) Build time and space in the classroom for experimenting and redoing and learning things at different paces. This can be really hard when there’s so much information to cover and so little time, but I really want to try to recognize learner differences and provide opportunities for developing grit. Helping students to develop grit will help prepare them for their futures. They will carry that with them into all facets of their lives: education, emotions, jobs, relationships, families, changing the world. I hope at the very least I can plant the seed in each student that they are capable of facing challenges and rising above. What about you? Got grit?